The marina was built in 1964. Today the marina is a full service marina, even with a barge service which can do anything from installing and removing boat lifts or docking to ‘on the spot welding’. Boat slip rentals which include a boat lift. 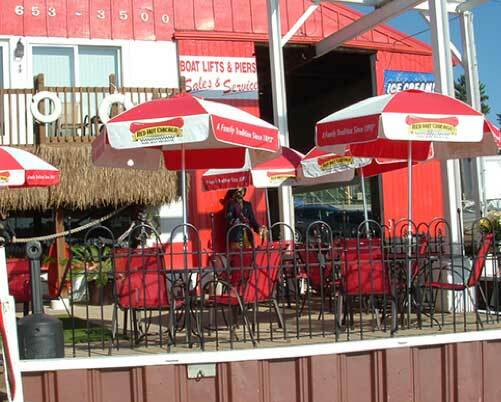 Scott Dogs is a little dog eatery located in the lobby of the marina serving Italian beefs, nacho boats, tamales, ice cream and of course the best hot dogs.